Today's modern, hectic world is one that holds a strong focus on sustainable, renewable energy. Solar power is increasingly coming to the fore as a viable means of powering the planet, and it's not difficult to see why. 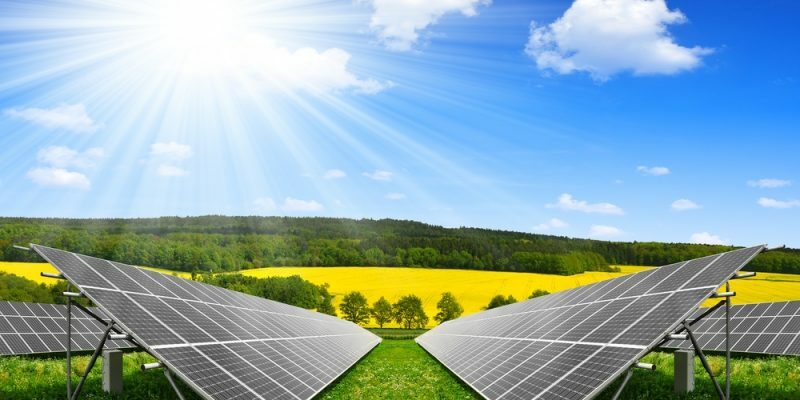 According to Energy Matters Australia, it would require just 0.3 per cent of the Earth's land area to deliver enough electricity via solar power. That's just a tiny fraction, of course, but solar power is not only efficient – it's also far more durable than the finite fuel resources which are steadily being depleted. Indeed, the same source states that solar power systems have up to 100 times better lifetime energy yield than do fossil energy systems. The Earth receives more energy from that big, yellow ball in the sky in just one hour than is actually used across the world in a year. Want one more incredible fact about solar energy? Sure. At the moment, we're wasting all that lovely energy that the Sun sends us. Energy Matters Australia states that the Earth receives more energy from that big, yellow ball in the sky in just one hour than is actually used across the world in a year. Therefore, it stands to reason that harnessing this energy and putting it to use should be a big priority for everyone concerned, which is why we at DaRa Switchboards were pleased to be involved in the Uterne II solar power project. Let's take a look at what DaRa did. With an average of almost 10 hours of sunlight shining down on the Northern Territory town of Alice Springs each day, along with vast expanses of land on which to build, the area was near-perfect when searching for a suitable spot to place Australia's largest tracking solar power station. Owned by Epuron and built by SunPower, the Uterne II solar power plant was created as an extension to the existing facility completed in 2011, bringing the total capacity from 1 MW up to 4.1 MW. With just shy of 10,000 panels reaping the sun's energy, the Uterne provides approximately 3 per cent of Alice Springs' electricity needs per annum – and with a population of just under 30,000, that's not bad going at all. Solar panels are growing in popularity across Australia. The complete Uterne facility – 'Uterne' meaning 'bright, sunny day' in the local Arrente language – was built as a collaboration between SunPower Corporation and Power and Water Corporation. Several other specialist companies were brought into the fold to lend their expertise, and DaRa Switchboards was one of them. We were both proud and honoured to be asked to supply AC electrical panels for the project, which meant visiting the site and tailoring the components precisely to the Uterne's needs. After all, it's not every day that you get the chance to play a part in creating history – and this is precisely what we at DaRa Switchboards believe the Uterne Power Station to be. DaRa was both proud and honoured to be asked to supply AC electrical panels for the project. "As the Southern Hemisphere's largest tracking solar power plant, this project is the most iconic and notable example of efficient photovoltaic technology in Australia, integrating innovative products and advanced engineering practices and we are proud to play a part in its success," said Sam Latz, General Manager of Alice Solar City, a key driver behind the Northern Territory's solar initiative. Of course, the area around Alice Springs was chosen for Uterne due to the plentiful sunshine that the region enjoys. Though this spells good news for the production of clean, renewable energy, the ever-beating sun presents its own special challenges to the power station. This is because prolonged exposure to sunlight can cause serious damage to equipment and components not designed for such conditions, so it was vital that our AC electrical panels were up to the mark – and so it proved! To find out more about DaRa Switchboards, be sure to contact our expert team to discover what we can do for you. Whether it's building a power station, or a small upgrade to your home, we look forward to hearing from you.